The disappointment in the bowels of Croke Park as the Leitrim players and management came to terms with defeat at the hands of Derry in the Allianz NFL division four final was made slightly easier by the fact that the long, gruelling quest to secure promotion had been brought to an end. The wait to right the wrongs of so many previous campaigns has been a torturous one. 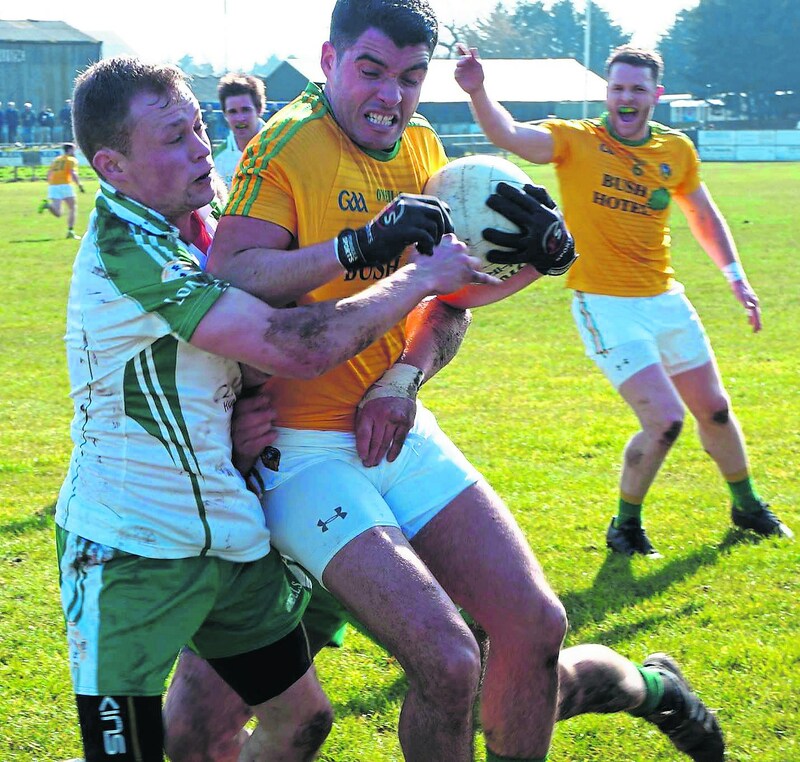 Many talented players and managers have come and gone as Leitrim’s journey throughout the country continued in the wilderness that is division four. 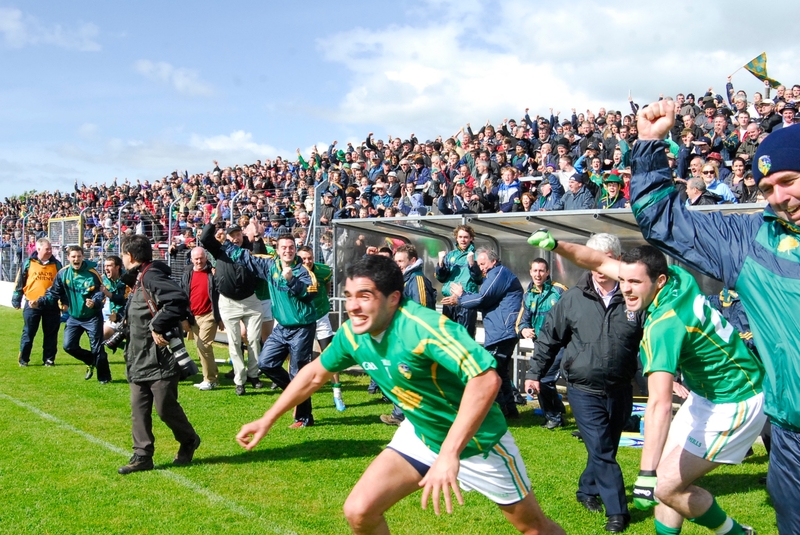 The day that consigned Leitrim to their residency in division four is one that is hard to forget for all who were present in FitzGerald Park, Kilmallock in April 2008. Leitrim agonisingly lost by a solitary point with the game perhaps best remembered for the controversial decision that saw a John McKeon point wiped out as the referee blew for half-time before the ball flew over the bar. Limerick manager and Kerry great Mickey Ned O’Sullivan was a relieved man when speaking after the game as anything but a win and Limerick would have been relegated that afternoon near the Cork border. Although not at full-strength, the Leitrim team that day included the famed full-back line of Michael McGuinness, John McKeon and Dermot Reynolds while Declan Maxwell, Shane Foley and Colin Regan were amongst others that were also involved that day. Emlyn Mulligan is the one constant between the team that suffered that heartbreaking loss and the team that took to the field in Croke Park recently [Gary Reynolds also played in Kilmallock and was a sub in Croke Park]. 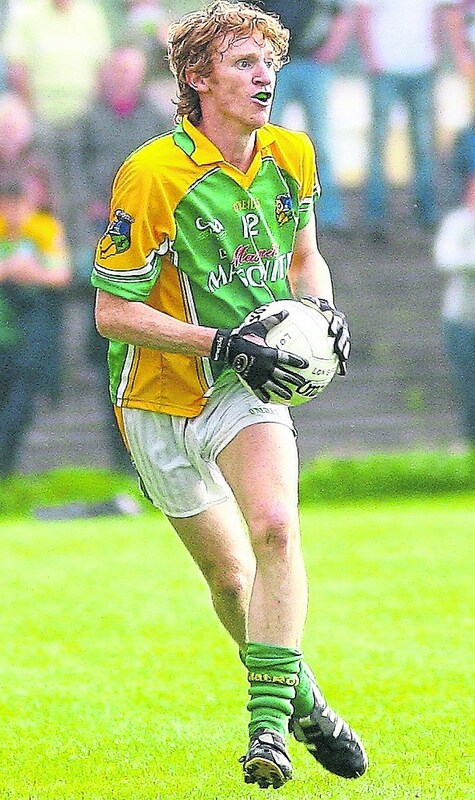 Starting alongside him that afternoon in Kilmallock was Mohill’s Philly McGuinness who sadly never got the opportunity to showcase his talent on the biggest stage. The feeling of deflation and heartbreak having suffered defeat and relegation at the hands of Limerick was put into perspective two years later when Philly’s young life was tragically cut short. It was news that rocked the country and left the county devastated. The crowds in Mohill on the day of his funeral gave an indication of the esteem Philly was held in and the tightness within the GAA community when everybody is united. A conversation with the recently departed John Morrison that afternoon in Mohill gave an insight into how much Philly would be missed. According to the Armagh native Philly would make light of the huge commute he undertook to attend training as he travelled from the most westerly part of Mayo to Bunbrosna and would regularly be the first to arrive. Morrison also revealed, as was his way, that he had a special nickname for Philly - ‘GOD’. It wasn’t necessarily that Morrison was on his hands and knees when Philly arrived for training but more that he was ‘Good On Delivery’! The county’s footballers went into championship action against Roscommon under a blazing sun and in the most emotional circumstances two months later. The players desperately wanted to win the match for Philly. The Leitrim faithful gave them huge support and they carried the goodwill of the country with them but a five point defeat was all they had to show for their efforts. After the game, the players looked devastated as they returned to the dressing room. Some spoke to the press out of politeness; others simply weren't able to put their emotions into words. Emlyn was there, as little more than a supporter, having suffered the agony of a second cruciate ligament injury in as many years. The years that followed saw managerial changes, players opting out, new dawns and familiar disappointments while Emlyn also had the added trauma of having to return from a third cruciate ligament injury which heaped further misery upon him and the team until this year's league campaign changed everything. Barely 20 minutes after leaving the Croke Park turf after his first county game on the famed pitch, Emlyn looked back on the league with a positivity that has been forged over a decade in the green and gold, even if there was more than a touch of regret that Leitrim couldn’t get over the line. The pain of defeat was still burning but as Emlyn reflected on the highlights of the league campaign and the momentous trip to Croke Park his thoughts turned to his former team-mate - “I always visualised myself getting to Croke Park and dedicating a win to Philly, we didn't get to do that, but I know he would have been looking down on us today and that is all part and parcel of this. Saturday, March 30, Leitrim's day in Croke Park, was a day and occasion that will be fondly remembered by everyone of a Leitrim persuasion for a long time and having suffered more than his share of football related setbacks and heartbreak, Emlyn felt it helped put some perspective on the importance of a mere game of football. “There is more to life than football and you have seen that this week; it's like a fantasy world we are living in, in Leitrim at the moment and the whole country is behind us but there is so much more to life than football. There may have been no silverware but the dream of promotion has been realised, the interminable wait for a day out in Croke Park ended and years in the wilderness have been put to bed. 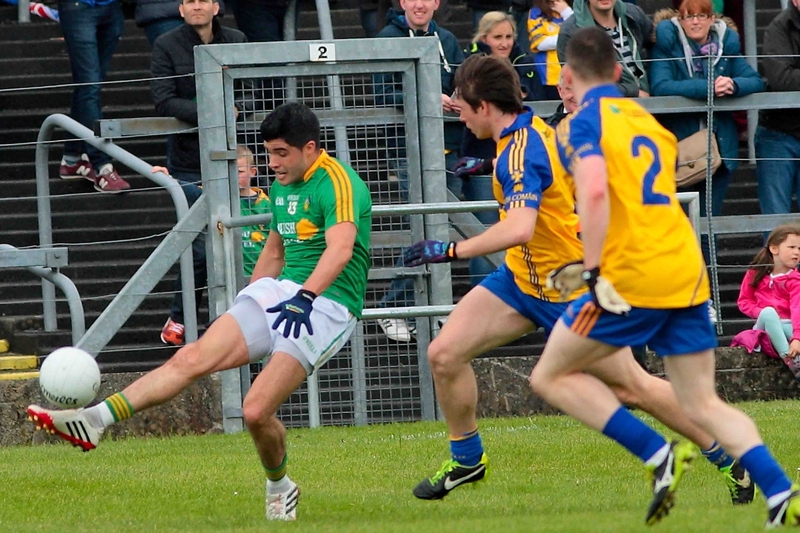 Looking ahead to a new era for the county, Emlyn, like all Leitrim supporters is excited by the current crop of young players and insists the future is in safe hands. The important next step is to ensure the progress of recent months is maintained and Emlyn is urging those who made the pilgrimage to Croke Park to get behind the team in Hyde Park on May 12 when they face Roscommon in the Connacht Championship.